This aisle runner is made up of 33 gram non-woven fabric. It is plain white with a white heart pattern. Each runner includes an attached cord handle and double-sided adhesive tape to secure it in place along the leading edge. It measures 39” in. in width and 75 ft. in length. One of the biggest moments in a wedding is when the organ starts playing and everyone is on their toes trying to get the best view of the beautiful bride as she walks down the aisle. For this, the aisle runner plays an important part. 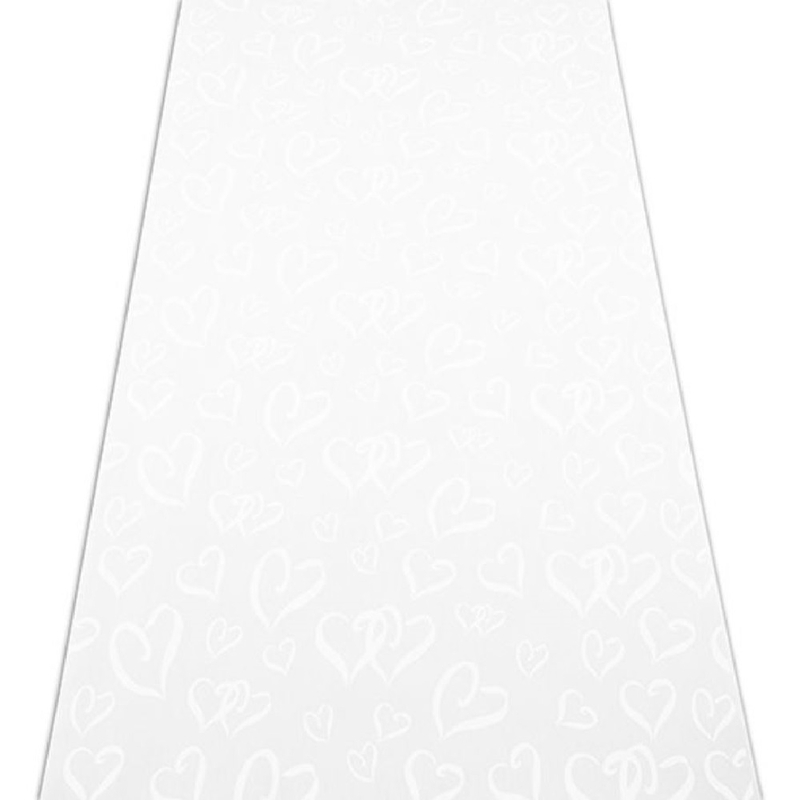 The heart printed pattern is displayed uniquely, while not being overly distracting that it takes away from the bride walking upon it. 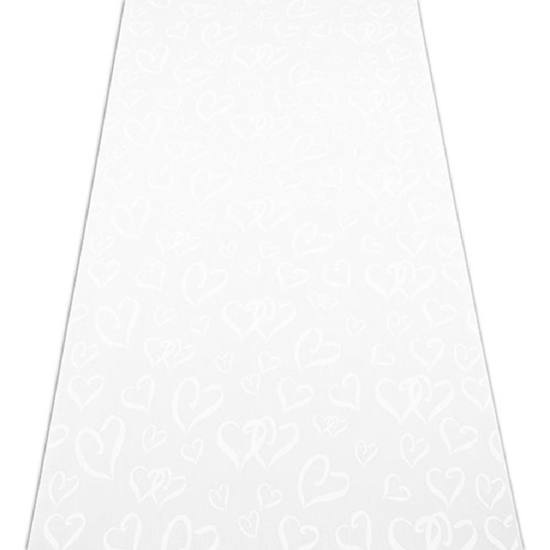 Bring romance into the air with this heart print wedding aisle runner.